ST. GEORGE — A man who told police he was just going for a “joy ride” in a city-owned golf cart was arrested Wednesday. 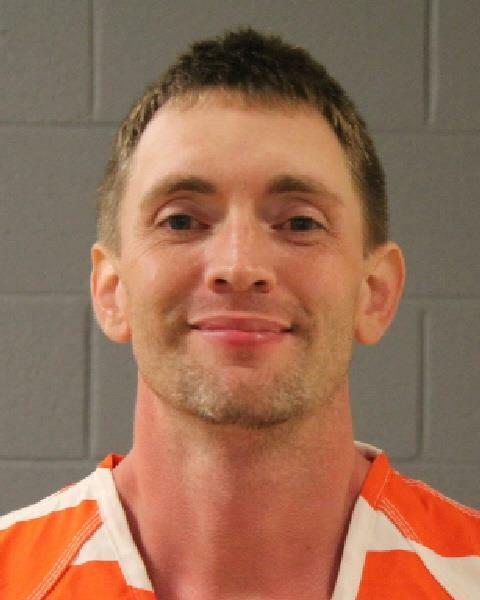 Police arrested Ian Nathaniel Shaw, 36, of St. George, on charges of theft, failing to stop on an officer’s command and trespassing. Employees at the St. George Waste Services Department, at 2170 West Treatment Plant Rd., noticed Shaw trespassing on the property and called police during the late afternoon, according to a probable cause statement written in support of the arrest. Employees told police that Shaw began operating a city-owned golf cart at the plant. In an attempt to stop him, several employees boxed him in with other vehicles, which caused Shaw to get out of the cart and run toward an open field near the SunRiver Club House, according to the police report. As responding police circulated the area, they located Shaw walking in the Virgin River. Officers told Shaw he was being detained and to walk toward them. According to the probable cause statement, he initially refused to follow police orders before officers managed to take him into custody. When asked why he refused to follow orders, Shaw allegedly told the arresting officer that he was told by a friend that police can’t arrest somebody who’s in the river. Police charged Shaw with one third degree felony count of theft for allegedly stealing the golf cart, estimated to be valued at $3,000. He was also charged with misdemeanor counts of failing to stop on officer command and trespassing. Shaw was booked into Purgatory Correctional Facility and subsequently released on $7,500 bond. According to Utah court records, Shaw has faced numerous charges in Salt Lake and Duchesne counties relating to theft, assault and drug violations. Find some new friends…..and you’re 36? Grow up. Can’t arrest you if your in the river? Lol. Trespassing, Check. Failing to comply, Check. Criminal Mischief, Check. Acting like a teenager, Check. Theft, No. Come on guys. Haha, yeah that charge will eventually be thrown out. Probably some overzealous cop who was mad he had to chase some fool out of the river. So they threw the theft charge at him. This is actually quite a humorous story on both sides. This reminds me of an old Andy Griffith episode featuring Ernest T. Bass. and as Barney said…He’s a Nut!